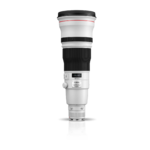 This is the longest telephoto lens among Canon's lineup, and a terrific choice for any long-distance application-outdoor sports, wildlife, news photojournalism, and so on. 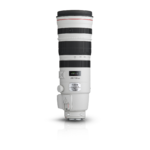 It's actually lighter than Canon's EF 600mm f/4L IS lens, weighing just under 10 lbs. 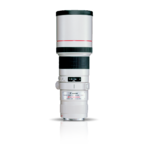 It uses a refined optical design, with two fluorite lens elements, one UD element, and one Super-UD-glass element, for outstanding correction of color fringing and superb contrast and sharpness. 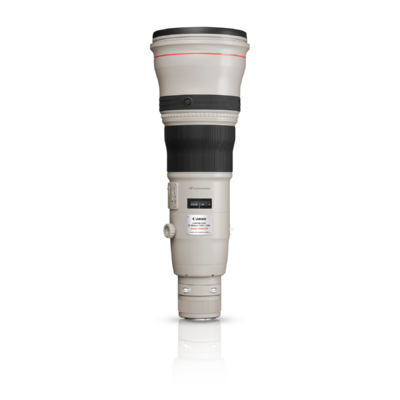 This super-telephoto lens uses magnesium-alloy barrel construction to enhance its light weight, and has weather-resistant gaskets throughout for use in harsh conditions. 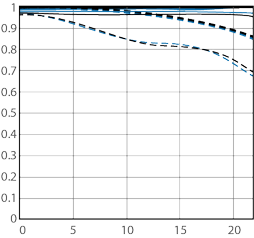 It's compatible with both the EF 1.4x II and 2x II tele extenders for even more reach: EOS cameras with 45 AF points will continue to provide autofocus at the center AF point when the lens is used with the 1.4x extender. 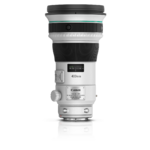 Finally, it's image stabilized, providing up to 4 stops of correction for camera shake. This makes it even more practical in many situations.